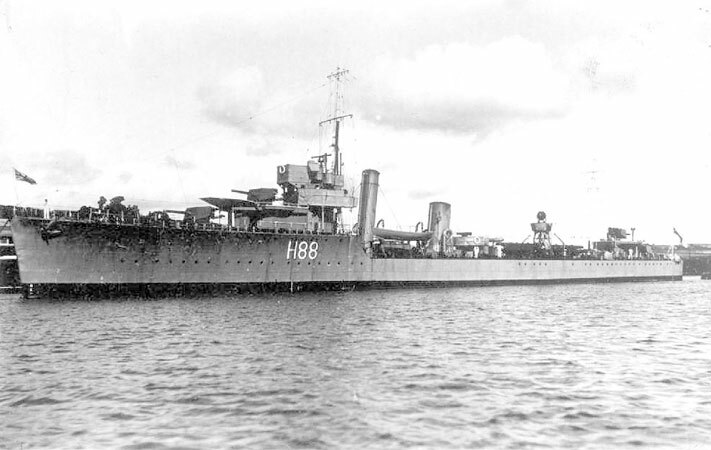 Lost: 29 May, 1940 (Cdr. R. L. Fisher, RN.) (c 51-15'N, 2-45'E)was torpedoed and sunk by German motor torpedo boat S-30 while participating in the evacuation of French, English, and Belgian troops off Dunkirk. History: After the end of hostilities with Japan HMS Wakeful transported Prisoners of War from Sandai Bay (north of Tokyo) to Sydney, Australia. Lady Mountbatten was the Re-patriation Officer. Captain of HMS Wakeful at that time was George Pound.